Attics, Garages, and much more. "All Estate Cleanouts, Sheds, Playhouses, Jacuzzis, Swing Sets, and any other large item's that need to be demolished, or disassembled, please call for an estimate." $300 for 8 ft Wide x 3 ft Deep x 1 ft High = 24 cubic feet. 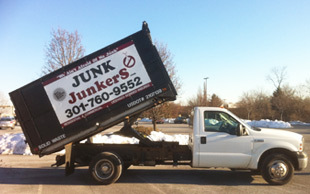 ** Very Heavy Loads (over 1.5 tons) are subject to additional fees. Our prices are set so you will not incur any hidden fees whatsoever, unless otherwise stated. We can not give you an exact price over the phone because we charge by volume, we can only provide a rough idea. We will begin work once we have given you an estimate and you have agreed to the price. Gas, Paint, Household Chemicals, or anything that is hazardous. Our apologies; we are not licensed to transport hazardous materials. You may call your County recycling agency for specific details of how and where to properly dispose of these items. 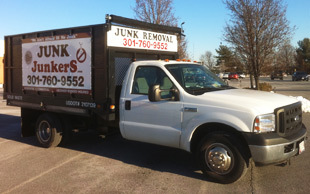 Our prices include labor and dump fees. 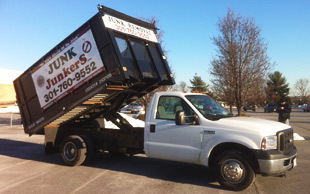 We pick up junk from residential and commercial properties on an as-needed basis, and we would love to contract for recurrent pick-up from commercial properties.